Fellow Cookie Elves: Ready Your Pans for Holiday Baking! See the best-selling and most popular baking pans used by bakers like you. Take a look. 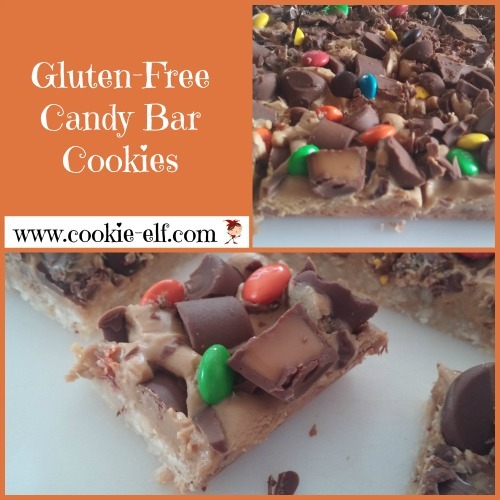 These Gluten Free Candy Bar Cookies are a fun way to use candy that is leftover from a holiday (like Halloween, Easter, Valentine’s Day, or Christmas). And for those who eat only gluten free desserts … well, have at it! You make the bars in 3 layers. First, you bake the cookie base. Once that comes out of the oven, spread dollops of peanut butter on the top and then sprinkle the surface with chopped candy. Spoiler alert: these cookies are best after you chill them in the fridge.But whether at room temperature or cold, they are hard to beat. 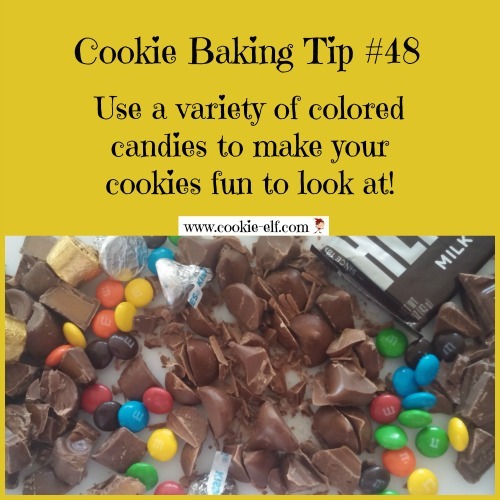 Get the full Gluten Free Candy Bar Cookies recipe … and check out our Gluten Free Cookies Pinterest board for more cookie inspiration.